The "Great Recession" has brought about increasing foreclosures, evictions, bankruptcies, layoffs, abandoned projects, and the people and industries caught in the middle. It can be challenging to capture all the misery of recession in pictures but I think Boston has done an excellent job here. 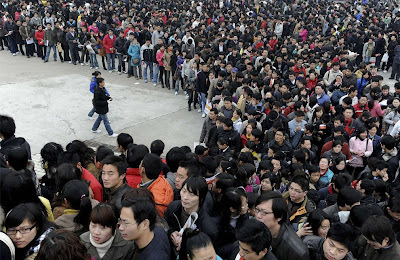 What really caught my eyes are pictures of the unemployed in China... they totally dwarfed the numbers in America. That is not to say Americans are better off in this recession though. I must say it is an employers' market out there, so we cannot afford to be choosy about jobs or wages any more. This message is especially important for new graduates who are about to enter the job market. 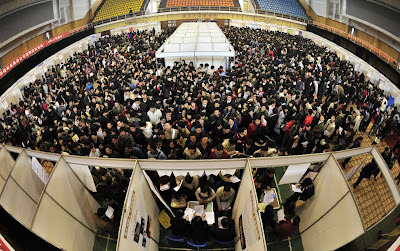 Just look at the number of China job applicants who are willing to fill up your position, work longer hours and for lesser pay. Obama and his administration is planning to spend their way out of the recession. 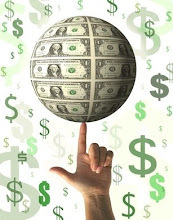 Notwithstanding critics who damned the plan as fiscally irresponsible and just kicking the can down the road, I am pragmatic and see it as the only feasible measure to get the global economy up and running. Only thing is when can the politicking stop, contracts awarded out and job vacanies start getting filled?